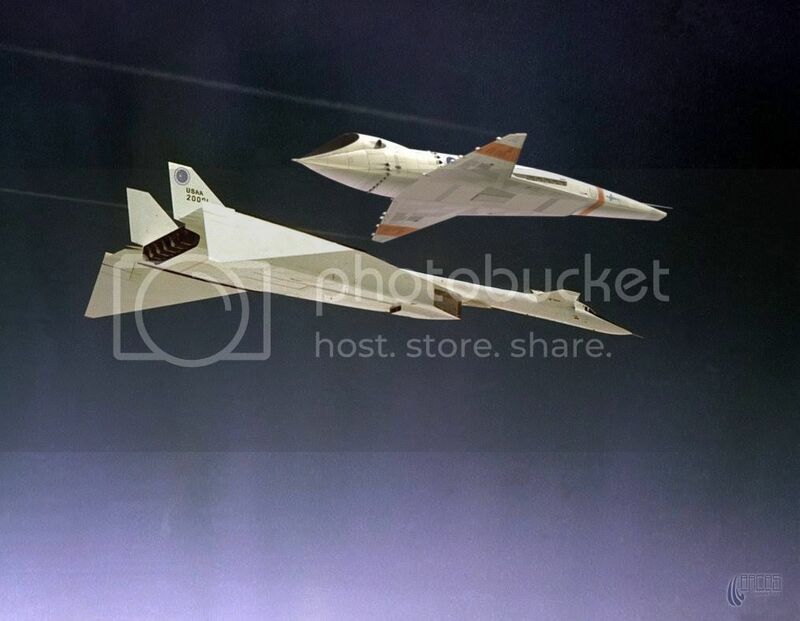 Cool formation picture of an XB 70 & the 2001 Orion flying in formation. That's some pretty neat photoshop work! ...and some say Orion was a poor performer in Earth's atmosphere. Great photo.